Retail buzzwords like 'personalisation' and 'omnichannel' are no longer just concepts and strategies that companies are working toward. Today, more retailers are actively deploying new technologies and migrating to an intelligent environment to reclaim their relevance in the on-demand economy. The results from Zebra Technologies’ second annual Intelligent Enterprise Index reveal that organisations have become more receptive and proactive when it comes to adopting and leveraging Internet of Things (IoT) solutions across the enterprise, translating into new growth opportunities. In assessing the extent to which companies are meeting the criteria that define today’s intelligent enterprise, several key findings point to the retail sector’s commitment to this transformation process. According to the survey, 42% of retailers currently provide information from their IoT solutions to employees in real time. By equipping store associates with real-time guidance about both shoppers and inventory, front-line workers have more freedom to engage with consumers in-person while offering faster, more efficient service. For brick-and-mortars struggling to keep up with changing consumer expectations, deploying these IoT solutions ensures that workers are empowered to provide a seamless, in-store shopping experience. These deployments also provide deeper insights that can guide new strategies for incentivising online shoppers to visit physical storefronts. As retailers begin to see the value of operating in these data-powered environments, the investment in IoT solutions will significantly increase over time. Of the respondents surveyed, 74% of retailers expect their company's IoT investment to increase over the next 12 to 24 months, while 58% anticipate their organisation’s IoT plans to be fully implemented within the next year. When it comes to expanding the scope and scale of IoT solutions across the enterprise, nearly 60% of retailers expect to reach company-wide IoT deployment, while 30% are currently deploying at this level. The customer experience remains the central driving factor behind IoT adoption in the retail space, with nearly three-quarters of respondents currently using data generated from their IoT solutions to improve the shopper journey. In relying on customer expectations to guide business decisions, retailers are also focused on addressing topics that are top of mind for shoppers. One of these is the utilisation of their personal information. According to the survey, retailers are proactively addressing consumers’ security concerns, with 54 percent reporting that they are constantly monitoring data to ensure privacy, as opposed to routinely monitoring. 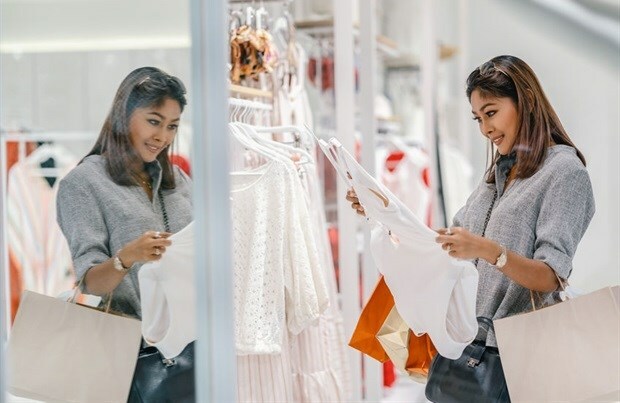 For today’s retailers, operating as a truly 'intelligent enterprise' means investing in new technologies and leveraging the data from these solutions to better serve customers at every stage of the shopping journey. By committing to these criteria, retailers can ultimately build a stronger foundation that will help them remain relevant in today’s competitive e-commerce landscape. Nathan Clevenger, director of Intelligent Edge Solutions, Zebra Technologies.